.357 Magnum 125 Grain Hornady XTP~ Hornady XTP Bullets feature a performance-improved point that has 6 precise folds to divide the bullet into symmetrical sections and initiate controlled expansion at low velocities while not fragmenting at higher velocities. They expand reliably at a wide range of velocities for a deep, terminal penetration with every shot. .357 Magnum 125 grain Plated Flat Point- These Plated Flat Point Bullets are swaged and plated to final weight and re-struck for accuracy and precision. This premium, precise plating not only reduces the amount of lead exposure during shooting, it also helps keep your bore much cleaner. 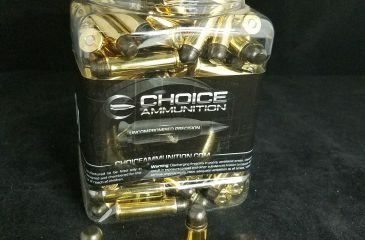 The flat point design minimizes expansion and the keeps the bullet traveling straight even through heavy hide and bone. The Flat Point also makes a good choice for target practice, well suited for deep straight line penetration. 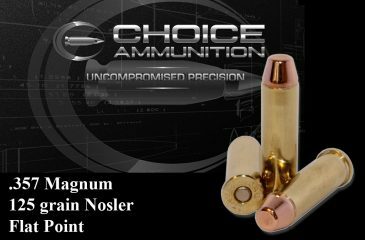 .357 Magnum 125 grain Target and Defense Combo Pack. Both the flat point range ammunition and XTP were paired and developed to perform exactly the same, both in feel and most importantly, in point of aim/point of impact. So if the time ever comes, there will be no surprises. 160 rounds of .357 Magnum 125 grain flat point practice/range ammo. These rounds are dependable, accurate and affordable enough for practice. 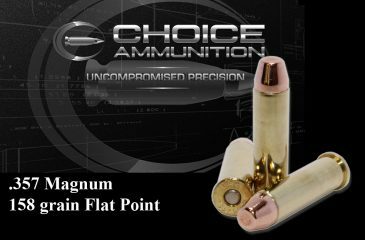 .357 Magnum 125 grain plated Flat Point- It does not matter what caliber or round we are loading- Choice Ammunition loads everything by hand with the tightest loading tolerances in the industry. 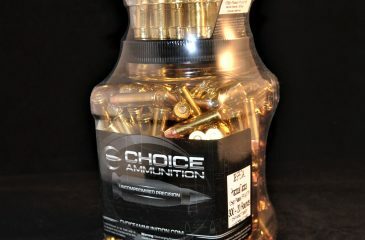 This creates the most accurate, reliable and dependable ammunition you can buy through the 100% hand-loaded process. Our plated bullets are swaged from a custom alloyed lead for uniformity, then plated to final weight and put back in a carbide die to be re-struck to the desired final dimension. We strive to be price competitive and provide the best performing round available. 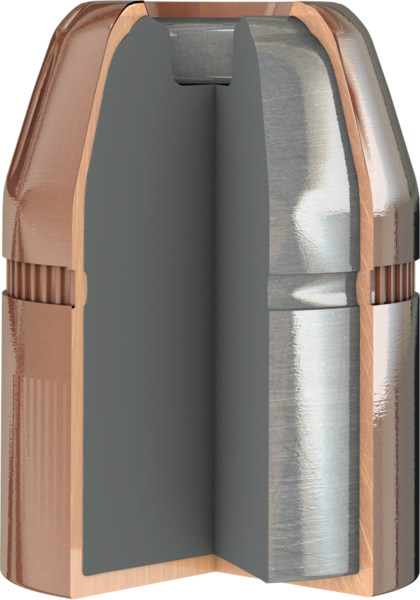 Our plated range ammunition provides enjoyable range or practice time for shooting enthusiasts with a desire to hit what they are aiming at! 20 rounds of .357 Magnum grain Hornady XTP Defense rounds. Hornady XTP bullets were designed for hunting, self-defense, and law enforcement. One of the great things about the XTP bullet is reliable performance, it features controlled expansion where six serrations divide the bullet into six symmetrical sections. These sections weaken the jacket to allow controlled expansion at low velocities and ensures fragmentation does not occur at high velocities. The XTP bullet is really known for its stopping power. 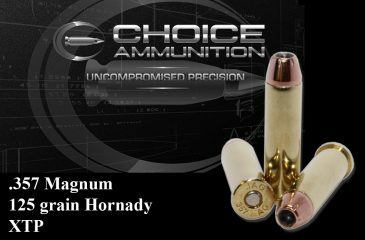 .357 Magnum 125 Grain Hi-Tek Coated RNFP~ Our coated bullets have become such a hit with our “Cowboy Choice” line, we decided to introduce these tremendously popular bullets into our “Range Choice” lines of ammunition! 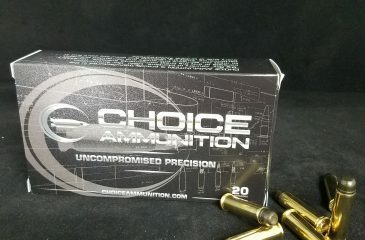 Our range ammunition is produced with the same loading process as anything we do- 100% Hand-Loaded techniques producing the tightest loading tolerances in the industry, which equates to superior reliability and accuracy! .357 Magnum 158 grain Flat Point- These Plated Flat Point Bullets are swaged and plated to final weight and re-struck for accuracy and precision. This premium, precise plating not only reduces the amount of lead exposure during shooting, it also helps keep your bore much cleaner. The flat point design minimizes expansion and the keeps the bullet traveling straight even through heavy hide and bone. The Flat Point also makes a good choice for target practice, well suited for deep straight line penetration. .357 Magnum 158 Grain Hi-Tek Coated RNFP~ Our coated bullets have become such a hit with our “Cowboy Choice” line, we decided to introduce these tremendously popular bullets into our “Range Choice” lines of ammunition! Our range ammunition is produced with the same loading process as anything we do- 100% Hand-Loaded techniques producing the tightest loading tolerances in the industry, which equates to superior reliability and accuracy!